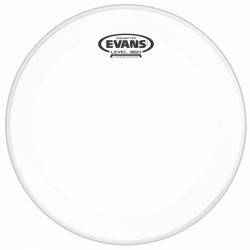 The Evans EQ3 Frosted has the attack, projection, and durability needed for louder situations, while still allowing the bass drum to resonate. 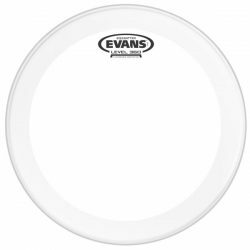 The Evans EQ3 Frosted is a versatile and well balanced bass drum head, made with two plies of 6.5mil film and a frosted top layer. 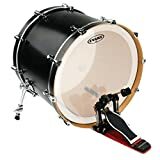 There is also a thin inlay ring and wider removable muffle ring on the inside, with both of these features working to control overtones and make tuning a little easier. 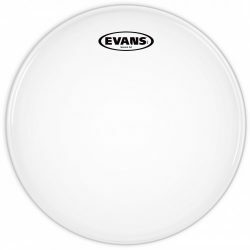 The Evans EQ3 Frosted gives more durability and projection than a single ply drumhead, and has a good amount of sustain. 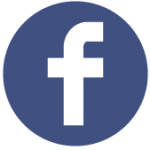 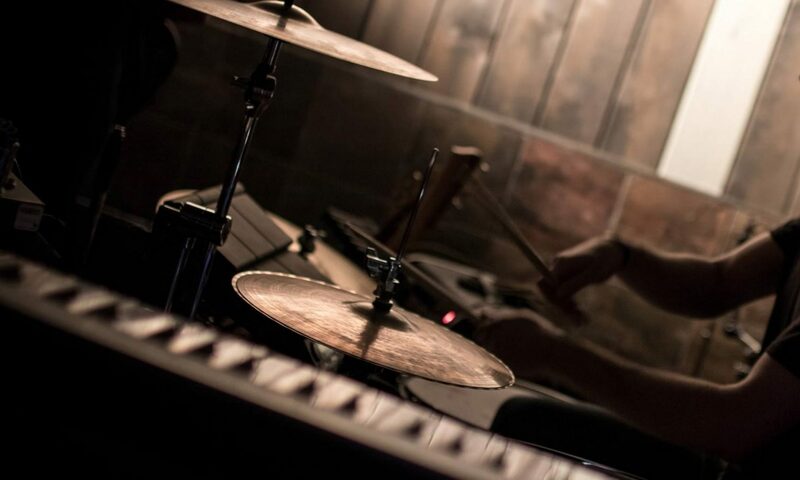 The frosted coating focuses the sound more towards mid-range and low-end frequencies. 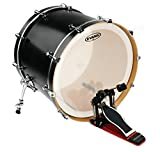 Both the clear and frosted EQ3 bass drum heads are high on attack, however the frosted version is slightly less attacking than the clear. 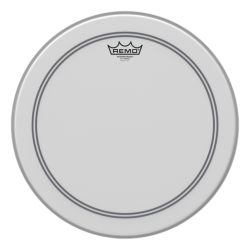 If you want to avoid the excessive overtones and shorter lifespan of a 1-ply drumhead, while still allowing your drums to resonate, the EQ3 Frosted is a great option. Leave it open to hear a longer boom, or add the included muffle ring to get a slightly shorter punch. 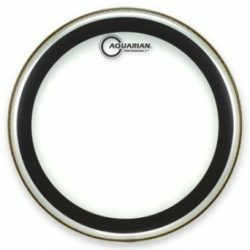 This bass drumhead is versatile – producing a nice tone at low, medium, and high tensions. 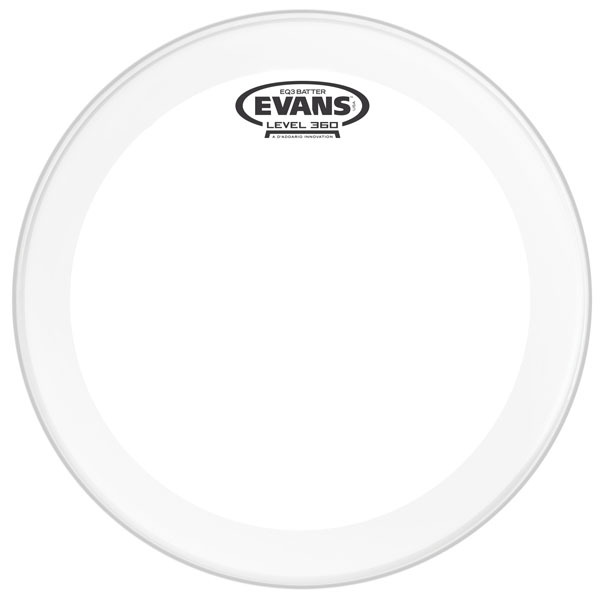 This frosted version of the EQ3 is slightly warmer and slightly more subtle than the clear EQ3, and is great for moderate and high volume playing. For more attack and a slightly brighter sound, take a look at the Clear Evans EQ3 bass drum head.